Spicy tuna roll is a sushi favorite. It's mild enough that it doesn't scare raw fish haters away, and it gets a ton of flavor from that spicy sauce. The recipe below combines everything you love about sushi with all the comforting flavors of a deep-fried corn dog. 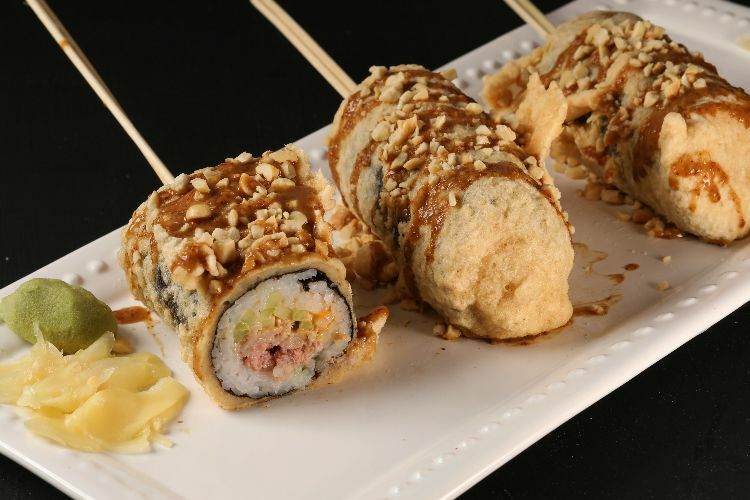 Don't worry – we're not asking you to make the spicy tuna roll yourself. By using the store-bought kind, you'll save yourself the headache of making perfect sushi rice. Many grocery stores make pretty decent sushi these days, so get to the deli counter and ask for some uncut rolls. In a large bowl, whisk the beaten egg and the cold water. Slowly add the sifted cake flour, salt and cayenne pepper, whisking as you add to avoid lumps. Once the batter is mixed, do not stir it again. In a large Dutch oven, heat the canola oil until it reaches 350 degrees F. You will need enough oil to completely submerge the tuna rolls. When the oil is hot, dip the uncut spicy tuna rolls into the batter, repeating the dip two or three times until the entire roll is evenly coated. With tongs, gently lower the battered rolls into the oil one at a time. Fry for 1 to 2 minutes, until the batter is golden brown and crispy. Put the rolls on a planed lined with paper towels to drain. 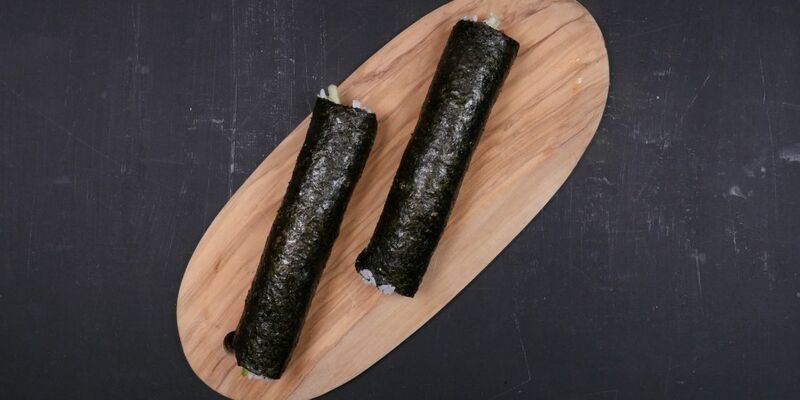 Cut the rolls in half and insert a wooden skewer into the open side of each half. Serve with spicy mustard, wasabi and pickled ginger on the side. Pro-tip: Mix teriyaki sauce with spicy mustard and sprinkle peanuts on the top.